There is no time like the present to compare your LPG price and start a line of communication with us so that you can change to a cheaper LPG price with Premier LPG as soon as your current agreement ends. LPG is a traded commodity so the wholesale price of LPG is constantly changing making it a challenging and competitive industry to be involved in. 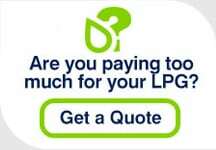 However, we are confident that we have a cheaper fixed price LPG deal waiting for you. Switching LPG supplier is easier than you think with our team of LPG experts on hand to provide the required transfer forms and make sure the changeover process goes smoothly. A member of our LPG team will be happy to discuss your future LPG supply.